Feathers, beaks, and hollow bones are just some of the features that make birds special. Spend some time learning all about birds through stories, crafts, and a fun hike. Wild Bergamot is in bloom and the swallowtail butterflies are out! Join a Naturalist as we visit several locations in North Jersey looking for a variety of summer butterflies, including the elusive Giant Swallowtail. Make sure to bring plenty of water, sun protection, and a lunch. Ever wonder how in the world a little, tiny caterpillar changes into a beautiful butterfly? Well, the secret is out as we explore and study the lifecycle of butterflies. Class will include a story, craft, and a field walk. "Here a bug…there a bug...everywhere a bug, bug!" Bugs and insects are some of the most amazing creatures on Earth. Learn about these bizarre critters through stories, games, and outdoor discoveries as we explore their homes, habitats, and lives. This will be the buggiest day of your life! 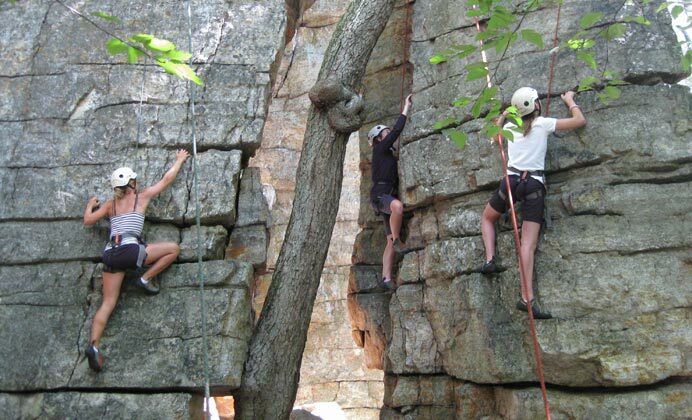 Travel to the Poconos and explore various hiking trails that will lead you to hidden waterfalls. Photograph, admire, and wade your way in for a swim! Enjoy the day in the woods and in the water! Bring lunch and money for ice cream. If you really and truly believe that snakes are slimy, then this is the class for you! We will dispel the incorrect myths about snakes, learn the real and amazing facts, and have the opportunity to meet a real, live snake! Pre-registration is required. discover the recipe for a rainbow.